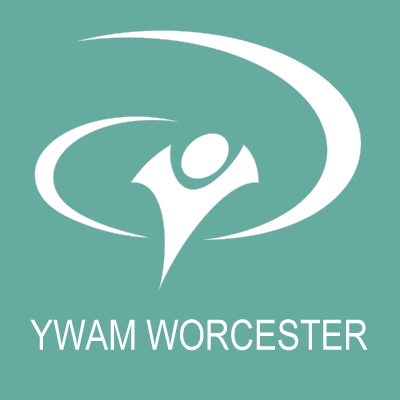 YWAM Worcester is a ministry of YWAM International, a global movement of Christians from many cultures, age groups, and Christian traditions, dedicated to serving Jesus throughout the world. Also known as YWAM (pronounced “WHY-wham”), we unite in a common purpose “To Know God and To Make Him Known“. YWAM Worcester is an international Christian Community, called to develop and train people from all backgrounds, releasing them to passionately represent Christ across Africa and the world. We believe in the transforming power of the Holy Spirit who gives freedom to God’s people. We are creating an environment where people can heal while experiencing this freedom and are encouraged to strive for both, the gifts and the fruit of the spirit in order for them to be transformed and to bring transformation everywhere they go. We offer a wide range of training programs accredited with the University of the Nations International, aiming to equip individuals with skills, knowledge, character and experience in order for them to succeed in life and to be empowered to represent Christ in all spheres of society. We are serving the local community with a variety of transformational ministries aimed to empower children, youth, men/women and families. We are regularly reaching 3000+ children in Worcester through our involvement with schools and different aftercare programs, running our own pre- and primary school on campus. We are involved in different feeding schemes, prison ministry, church planting, mentoring groups, counselling, family ministry and much more. YWAM Worcester’s openness to the Holy Spirit creates an environment where there is freedom instead of control. Being on the premises of the first hospital in town, the original anointing of healing is still manifest to date. We are regularly seeing people healed, emotionally as well as physically through the power of the Holy Spirit. The spacious outdoor facilities of our campus contribute to the amazing feel of freedom. Worcester is situated in the Breede Valley which is surrounded by majestic mountains. The Breede Valley is a valley full of mainly grape farms and therefore has an idyllic scenery to offer. With Worcester you get the flavour of a small town with the convenience of city-like shopping facilities. There are several Safari Game Reserves around Worcester that are worth a visit. Mountain hikes, fishing, camping, nice farm restaurants and lots of other actives are easily accessible within just a few minutes of a car ride. Stellenbosch, Franschhoek, Paarl, Wellington are only a stone throw away from Worcester and definitely worth a visit for their historical, cultural and culinary variety. Cape Town as well as the sea can be reached within about an hours car drive. Cape Town offers a variety of attractions such as famous Table Mountain, the V&A Waterfront, African Market, Museums, big Shopping centres, Sports stadiums, theatre/musicals and many other attractions and recreational activities. We are committed to offer affordable training and accommodation. Our fees plus airfare are often cheaper than comparable programs in Western Nations, and yet keeping up with the same quality standards. We embrace the artists and the creative, offering an environment where they feel understood and appreciated, where they can express God’s heart creatively and grow in skill, character and experience. YWAM Worcester is a very family friendly environment. Though simple accommodation we do offer a lot of outside space with playgrounds, sports facilities, swimming pool and lots of green grounds. The people of YWAM Worcester understand the needs of families and are committed to make room for them accordingly, as much as possible. We do run our own Christian pre and primary school on campus and there are other quality schools available very close by. We do have constantly 30+ different Nations represented at YWAM Worcester, which of course creates an amazing international atmosphere. While living together as a community we learn from one another and grow in so many areas. We’ve sent teams to 35 different Nations and there constantly more added. We are a real “Gateway to Africa and the World”, both ways.